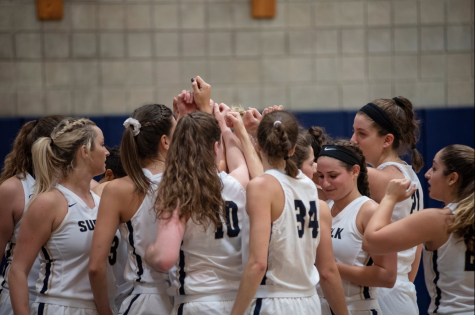 After a crushing defeat at the hands of Saint Joseph’s College, the Suffolk women’s basketball team came into their season opener against Western New England (WNE) looking to bounce back. 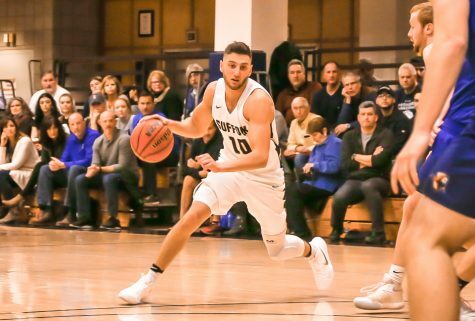 Suffolk entered the season ranked third in the Greater Northeast Athletic Conference (GNAC) coaches poll. The team ended last season with a overall record of 21-7 and finished third in the GNAC. While the stands packed with students, friends, family and alumni, the WNE Golden Bears took the visitors side of the floor to start warm ups of their own. Head coach Ed Leyden took this opportunity to talk to the Lady Rams one last time before the season officially tipped off. This season marks Leyden’s 25th year coaching the Lady Rams. 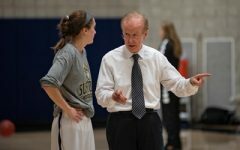 Inducted into the New England Basketball Hall of Fame in 2015 for his tenure at Suffolk, Leyden has had a storied career. 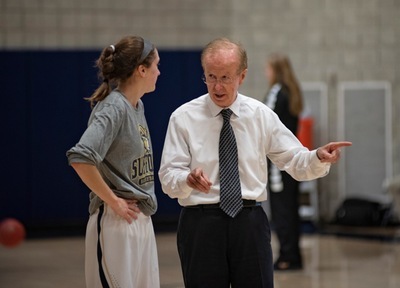 He has won five GNAC Coach of the Year awards and has appeared in eight championships. WNE, voted second in the Commonwealth Coast Conference coaches poll, proved to be no easy task on opening day for the Lady Rams. 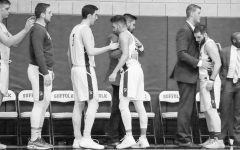 As Suffolk’s starting five strolled onto the court, the jitters of nervousness and excitement that accompany a young team on their first game of the season instantly disappeared. The Lady Rams busted the game wide open, with GNAC Rookie of the Year Jenni-Rose DiCecco scoring the first points of the season for Suffolk. 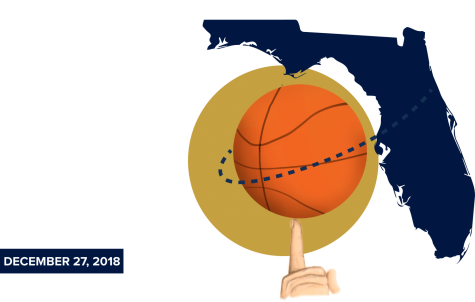 Excellent team offense and ball sharing coupled with outstanding zone defense from the Lady Rams allowed them to jump out to a 24-14 lead in the first quarter. 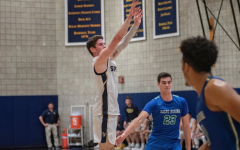 The second quarter went roughly the same way, as the Golden Bears were unable to consistently penetrate Suffolk’s suffocating zone defense. 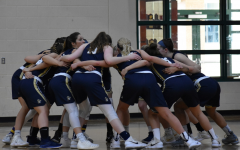 DiCecco led the charge on offense with 22 points by game’s end, and the Lady Rams were able to walk into the locker room with a comfortable 36-29 lead at half. 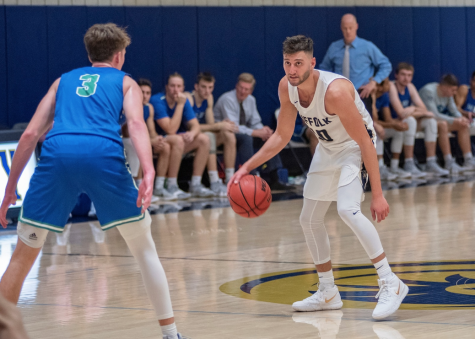 When both teams emerged from the locker rooms, it seemed as if Suffolk was going to be able to survive the Golden Bear’s second half surge, holding a double digit lead throughout most of the third. 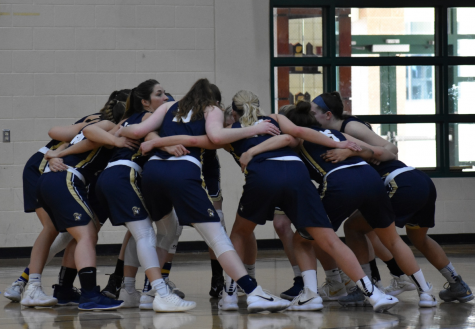 The Lady Rams zone defense refused to collapse in the second half, as late shot attempts that rattled off the rim in the first half began to fall in the second half for WNE. 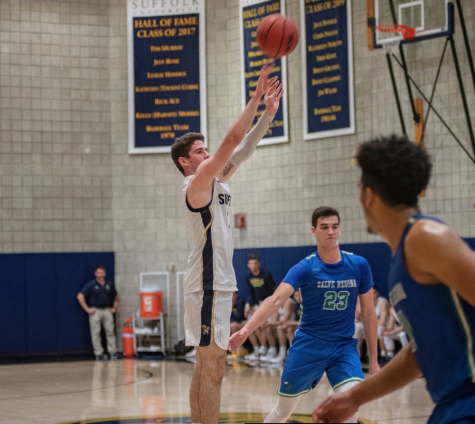 With 1:53 left in the third quarter, the Golden Bears confidently marched down the floor looking for a three point shot. Even with Suffolk’s defense smothering their vision, they were able to bury that shot. This prompted Leyden to immediately call timeout in an attempt to let his players regroup and catch their breath. Entering the fourth quarter tied at 53 points a piece, both teams mentally prepared themselves to enter a dog-fight of a quarter. WNE was able to go on a quick 6-0 run and never surrendered the lead on their way to an eventual 66-58 win. 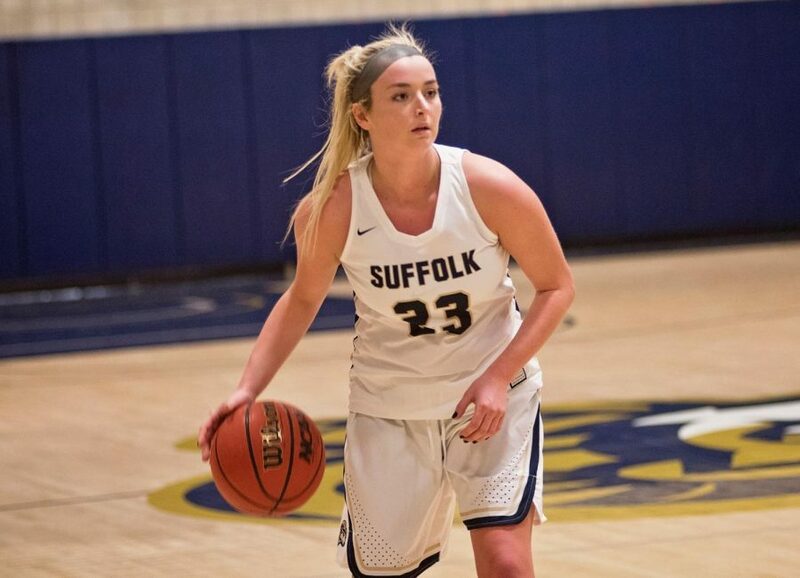 Sophomore Rachel Lasaracina was able to hit a three pointer of her own to bring the Golden Bear’s lead down to three in the fourth quarter, but Suffolk wasn’t able to overcome a sputtering offense that produced only one other bucket in the quarter. The Lady Rams were also out rebounded in the last quarter, 13-4. 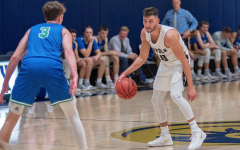 “They dominated the boards, they got second and third shots in possessions, and sometimes you’ve got to tip your hat to your opponent,” said Leyden. Despite the loss, the team remains optimistic. 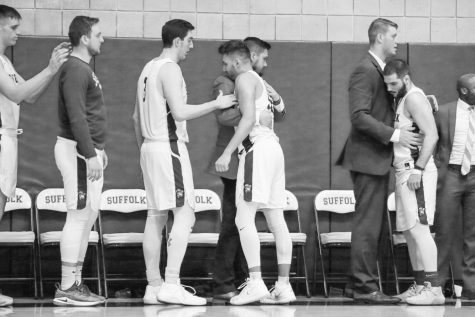 Due to young age and lack of experience, the Suffolk season will be equal parts about winning and building a culture and a chemistry that will go on to produce results this season and years to come.